Día De Los Niños...April 26th! Uvalde C.I.S.D. Pride...The Power to Transform! 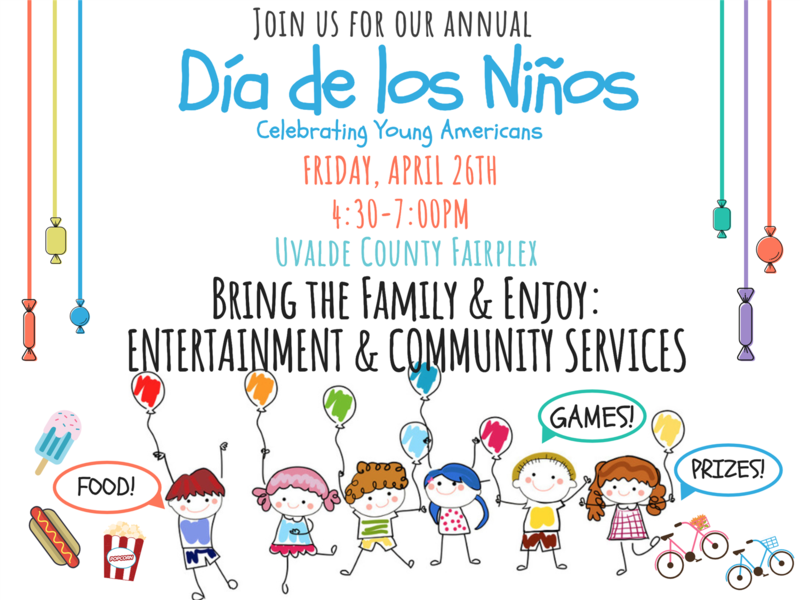 ía de los Niños will be celebrated on Friday, April 26th from 4:30pm-7:00pm at the Uvalde County Fairplex. Bring the whole family and enjoy some games, entertainment, and prizes. Free food and refreshments will be available to the students, there will be a concession stand for adults.